Many algorithms are available for both supervised and unsupervised machine learning, and new algorithms are being published regularly. We see acronyms like SGD, AMSGrad, AdaMax, Nadam, PCA, SVD, RNN, ICA, NMF, but what is hidden inside the black box? In these two talks, I will sketch an overarching mathematical framework that encompasses many of these methods and discuss how several state-of-the-art methods can be easily understood as specific instances in this framework. By keeping the framework in mind, it is easier to compare algorithms and decide if it is worth switching to a new method. As background I will assume that everyone is familiar with basic notions from calculus (function, derivative, gradient) and linear algebra (matrix, vector, matrix multiplication, norm and inner product). Tristan van Leeuwen received his BSc. and MSc. in Computational Science from Utrecht University. He obtained his PhD. in geophysics at Delft University in 2010. After spending some time as a postdoctoral researcher at the University of British Columbia in Vancouver, Canada and the Centrum Wiskunde & Informatica in Amsterdam, the Netherlands, he returned to Utrecht University in 2014 as an assistant professor at the mathematical institute. His research interests include: inverse problems, computational imaging, tomography and numerical optimisation. 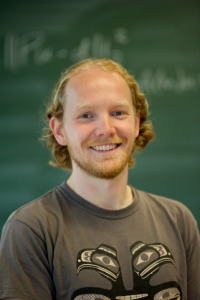 Tristan van Leeuwen is a assistant professor in Scientific Computing at the Mathematics Institute of Utrecht University. You can read more about him on his website.